Making a topic web with the children in a class can be an important part of preparation for project work. A topic web is a kind of visual organizer. A topic web helps to represent the understandings and questions that the class has about a topic. Two processes are generally involved in making a topic web with the children—generating ideas and questions about a topic and organizing those ideas and questions into categories. The categories enable the teacher and children to easily identify potential subtopics for investigation and plan for fieldwork (Figure 1). Figure 1. Example of children’s topic web created by hand, showing categories or subtopics for investigation. The category “?” refers to questions that children had about animals and trees. Some teachers combine organization of the topic web with the process of generating ideas and questions. Other teachers prefer to work with the class on organizing the topic web after all of the ideas have been generated—for example, at the next group discussion time. This lesson planning aid focuses on organizing the web as a separate activity. However, many of the early learning benchmarks listed in this aid will be met if the class organizes the web at the same time that the children are generating ideas. Teachers who are using a topic web in a project for the first time often wonder if the children can understand the process of creating categories of ideas. But many teachers who have experience with projects report that preschoolers are usually able to understand this kind of sorting process. Some, particularly younger preschoolers, may need more guidance, or more time, than others. Typically, however, children soon begin to see how various ideas are related, or unrelated, to each other and how they can show that relationship on the web. Teachers who have been able to work with the same preschoolers over 2-3 years often report that the children’s understanding of the process is much greater during the second year. Organizing the topic web with children can give the teacher an in-depth look at what they understand, misunderstand, and wonder about a topic. The process calls upon children to express and verbally support their points of view, providing a window on how individual children think as they explain their reasons for grouping items together. Grouping ideas into categories or subtopics can help preschoolers meet a range of early learning benchmarks (see Benchmarks Addressed When Children Organize a Topic Web, below). For teachers who use the Project Approach but are required to submit lesson plans, organizing the topic web with the class provides an opportunity for lesson planning. When planning a lesson about organizing a topic web with the children, you may want to consider three basic questions: What materials do you need? What preparations are important? What procedures do other teachers recommend? writing instruments such as chalk, felt-tip marker, etc., that make marks heavy enough for all to see. You may want to use a new color to differentiate between the original ideas and the categories being created. Be aware of what individual children understand about sorting and grouping. If they are comfortable with such activities, your approach will be different from what you might do with a class that has less experience (see below). Help children understand the basic structure of webs (natural and human-made); that is, they are made up of interconnected parts, with the connections radiating out from a main point. If another adult will work with you, who will write the categories and who will facilitate the discussion with the children? Will you develop some or all of the categories prior to meeting with the class and ask the children to decide how to group the ideas and goals into those categories? Or will you engage the children in the process of developing all of the categories? Will you begin by modeling the process of categorizing so the children can see what it entails? Or will you begin by asking them to think about and decide which ideas on the web seem to belong together? Introducing the Lesson. Typically, teachers use group meeting time for organizing the children’s topic web. If you have created the children’s web using sticky-notes, you and the children will be able to move them easily into categories that you write on the original web. If the web is on a whiteboard or chalkboard, you can write the name of each category that is developed, then “move” words by erasing them and rewriting them under the appropriate categories. If you created the web in a computer program such as Word or Pages, you will be able to cut and paste words to place them into categories that the children develop. If you created the initial web on paper, you can post a new sheet of paper on the wall next to it, with the project title in the center and blank circles for categories drawn around it. You can write the children’s categories and the ideas that belong with them on the new paper. It’s a good idea to start by explaining to the children what the task is—to decide which of their topic web ideas and questions are related to each other (or similar to each other) and to organize or sort them into categories or groups. You might explain that these categories will help them as they investigate the topic. You will probably find it helpful to read the web aloud to the children, starting with the name of the topic in the center and pointing to the words as you read them. Organizing the Children’s Topic Web. You might begin by modeling the process of developing categories: “One of the sticky-notes says ‘Shoes have laces.’ This one says ‘Shoes have Velcro.’ Both are about parts of shoes. I’m going to put them together here on the web and write ‘Parts of Shoes’ here. ‘Parts of Shoes’ will be the name of one of our categories” (Figure 2). Figure 2. Beginning to organize the children’s topic web. You may find that the children cannot finish the task in just one session. In that case, you can plan how to follow up—with another meeting of the whole class or with a smaller group of children who are especially interested in finishing the process. It’s a good idea to plan to show the completed web to the whole class, to briefly remind them of the categories that they have helped to develop, and to show them where you will post the web so that they can revisit it during their project work (Figure 3). Figure 3. Children’s topic web, organized into categories in preparation for data collection. The categories of ideas and questions on the topic web can serve as subtopics of the main project topic. Groups of three to five children can investigate each of these subtopics during Phase 2 of project work. These small groups are sometimes called “subtopic groups,” “study groups,” or “interest groups.” For some suggestions about helping children start these groups, see the IEL Tip Sheet “The Project Approach: Phase 2—Getting Ready for Fieldwork”. If you compare the children’s topic web to the planning web that you created, you may be able to easily identify children’s misconceptions or gaps in knowledge. This strategy can help you plan fieldwork experiences to address their misunderstandings and lack of experience. During Phase 3, occasions for lesson planning may arise as children show interest in comparing their initial web to the new web or when they look again at the original web to find out if they have answered all of their questions. You may want to have another adult observe and take notes, or you may want to record the discussion electronically during the process of organizing the children’s topic web. Keeping notes about specific children’s engagement with the process can help you to be aware of the children’s understandings, skills, and dispositions. Is Jin-Yung confident about grouping similar ideas together, or is he unsure of how to proceed? Does Henry insist that everyone go along with his ideas, or does he listen to classmates’ perspectives? Does Audrey seem to be aware of what others are saying, or is she often distracted by birds on the window ledge? A transcript of the conversation can go into each child’s file. Looking back over transcripts of topic web discussions can give you a sense of the group dynamics in your class: Do certain children dominate discussions? Do most of the children tend to respond to each others’ ideas, or are they “in their own worlds”? How have those dynamics changed over time? The topic web itself is a way for you to document children’s knowledge and understandings at the beginning of a project. During Phase 2 or Phase 3, the children may want to develop a new web as they find new information about the topic; the new web documents their new knowledge and understanding. Comparing the new web to their initial web, which is usually much smaller and less detailed, is one way for the children to get a sense of how their own understandings have grown. Visiting parents may also be favorably impressed by this comparison, as well. Your lesson plans for organizing the topic web can include accommodations for children with a range of special needs. If one of the children is slow to respond to questions or needs extra time to form sentences, you might plan to talk with her individually before the group meeting to hear some of her ideas about organizing the web. If you think that a particular child may have difficulty sitting through the process of organizing the web, you may want to plan to get his input individually at another time. Use some visual cues in addition to words—photographs, small sketches, stick-figure drawings, etc.—on the web to illustrate categories or ideas. Use transcripts of topic web discussions to help you to track changes in individual children’s English fluency and comprehension. If you are bilingual in languages spoken by the children in your class, consider making the topic web bilingual to benefit both the English language learners and the children who speak only English. Illinois teachers of young children are often asked to include state early learning and development benchmarks in their lesson planning. The chart below suggests benchmarks that are frequently met when children organize their topic web. Other benchmarks may also be addressed. a child responds to the teacher’s request to organize the web by participating in the discussion. a child explains his reason for grouping two ideas together in response to a question from a teacher or classmate. a child talks with a teacher and classmates about the process of sorting and categorizing. a child participates in discussion of how an idea on the web is similar to or different from other ideas on the web. a child suggests a way to categorize an idea. a child explains his or her reasoning. a child listens and responds to ideas expressed by others during the discussion. a child talks about the topic web with classmates, family members, or visitors. a child helps to sort and categorize ideas on the web in preparation for developing questions and subtopic groups. a child talks about similarities and differences between items on the topic web while helping to organize them into categories. a child helps to name a category on the topic web. a child participates in organizing items on the topic web, discussing possible categories and groupings. a child helps to organize ideas and questions on the topic web as a step toward carrying out an investigation of the topic. a child avoids interrupting classmates and “takes turns” when helping to develop categories. a child helps to make decisions about how to organize information on the topic web. a child takes turns during the discussion about organizing the topic web. 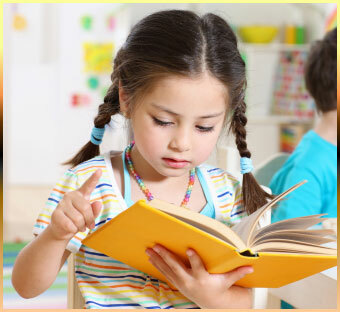 a child listens and responds respectfully to ideas expressed by classmates and teachers. a child talks with classmates about possible ways to organize the web (which items should be grouped together, etc.). Hone oral language skills during conversations with peers and adults about the ideas and questions they are sorting. Listen to and make sense of classmates’ perspectives on the categories that they are developing. Analyze their own thoughts and experiences to formulate responses to classmates’ comments and questions about their ideas. Notice the great variety of classmates’ perspectives on the topic. Explore and describe attributes of the ideas and questions collected on the web, including their similarities and differences. “Match” similar ideas and understand why particular ideas do or do not belong together. Keep more than one trait or attribute in mind at the same time. Teachers or students who are learning to prepare lesson plans may find it helpful to consider some of the above benefits of involving a class in organizing a topic web, in addition to the ways in which benchmarks may be met.